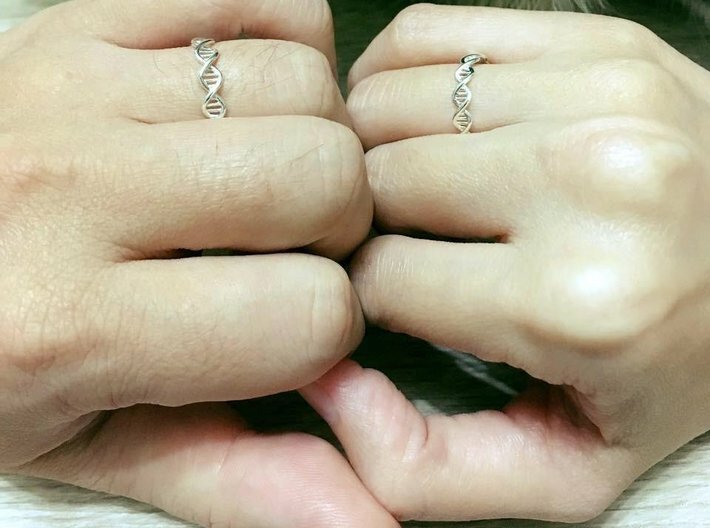 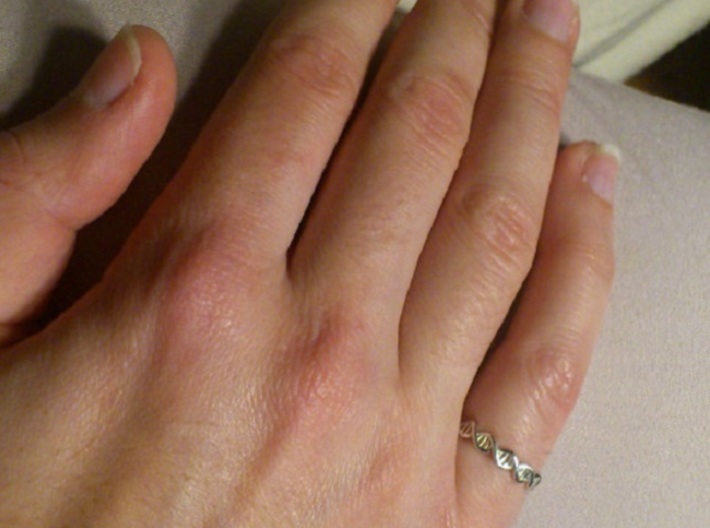 This is a diagrammatic representation of a deoxyribonucleic acid molecule made into the form of a ring. 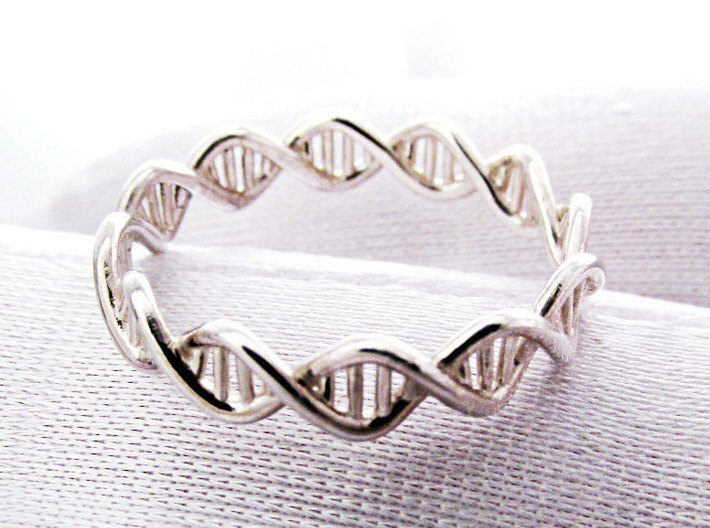 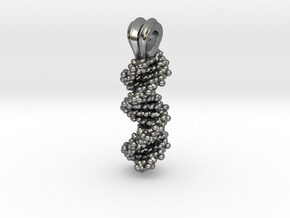 More specifically, it is a representation of normal B-DNA having a right-handed helix as first described by Watson and Crick based on Rosalind Franklin's X-ray diffraction images. 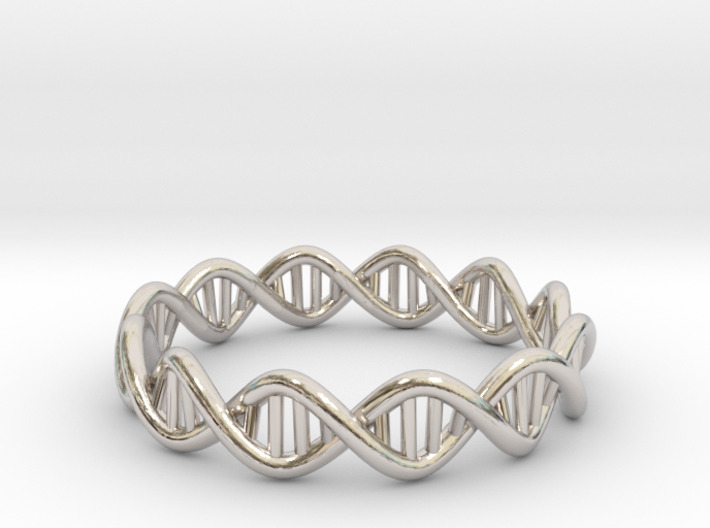 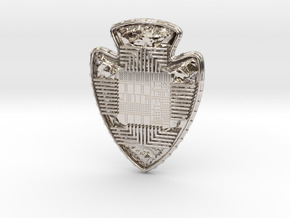 If you don't see your size in the dropdown list send me a note by clicking on the send message button below with your size and tell me it's the DNA ring design you're interested in and I'll add your size to the list. 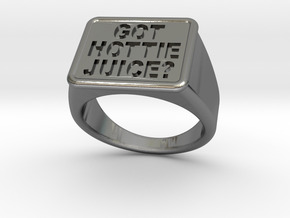 It's available in every quarter size from 3.5 to 16.